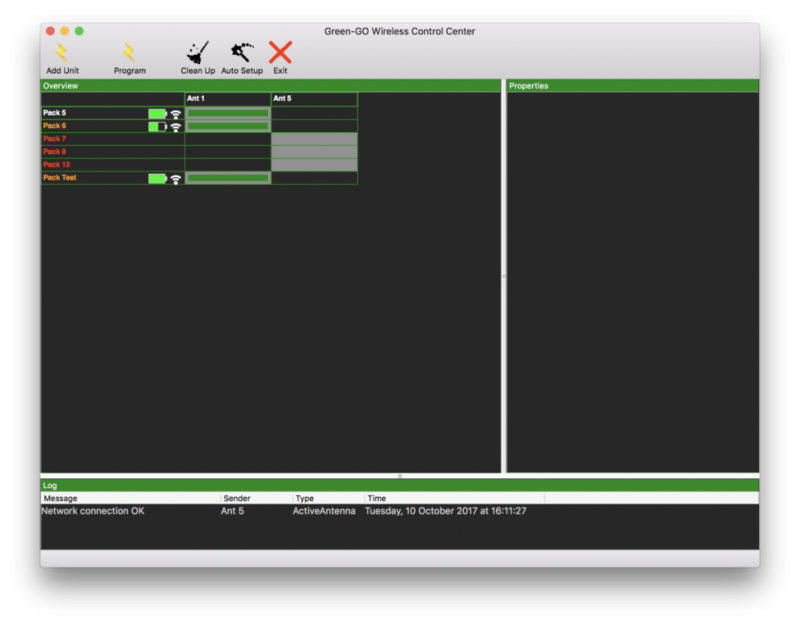 With the Green-GO Wireless Control Center you can manage all pairing from antenna’s with wireless beltpacks. It allows you to create a pairing scheme in a matrix view, so there is a clear view of the paired devices. When the beltpacks are paired and connected to an antenne, you also can live monitor the reception and battery status.